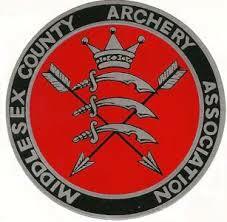 Middlesex County Archery Association (MCAA) is the governing body for the sport of archery in the county of Middlesex and operates under the rules and guidance of GNAS and the Southern Counties Archery Society. Our aim is to encourage and promote archery as a sport and hobby, along with its competitive and social aspects, within the county. MCAA is maintained by a selected committee, comprising of representatives from the archery clubs within the county. The committee holds regular meetings during the year with dates highlighted on the MCAA website calendar. Every year both indoor and outdoor tournaments are organised for county archers and for visitors. Information of these events can be found on the tournaments page. We also select individuals from clubs within the county to represent Middlesex in various inter-county events including regional championships.